An Oregon-based nuclear company presented a detailed timeline Thursday for the deployment of its first small modular nuclear power plant. An executive from NuScale Power presented the roadmap during a keynote address to the International SMR and Advanced Reactor Summit taking place this week in Atlanta. NuScale Power is leading the charge to develop a new generation of small modular reactors that are billed as cheaper, safer and faster to build. NuScale's Chief Commercial Officer Mike McGough described the variety of partners his company has lined up to build a power plant for its first customer. He said the site selection process has narrowed down to four or five locations on the grounds of the Idaho National Laboratory outside Idaho Falls. Simultaneously, McGough said NuScale is preparing to submit a 12,000 page application for design certification to the Nuclear Regulatory Commission this fall. The NRC is expected to take three or more years to review the trailblazing design. In an interview with public radio Thursday, McGough predicted the plant will be commercially operational in the middle of 2024. "I know that is eight years from now," McGough said. "That seems like a long time, but in the space of what we're doing in the technology development and deployment, it's actually quite short." McGough said Richland, Washington-based Energy Northwest has signed up to operate the initial NuScale commercial project. McGough said Energy Northwest eventually wants to co-locate a modular nuclear plant next to its longstanding commercial nuclear reactor at Hanford. A wholesale electricity provider to utilities in the Intermountain West called Utah Associated Municipal Power Systems (UAMPS) will own NuScale's first plant. 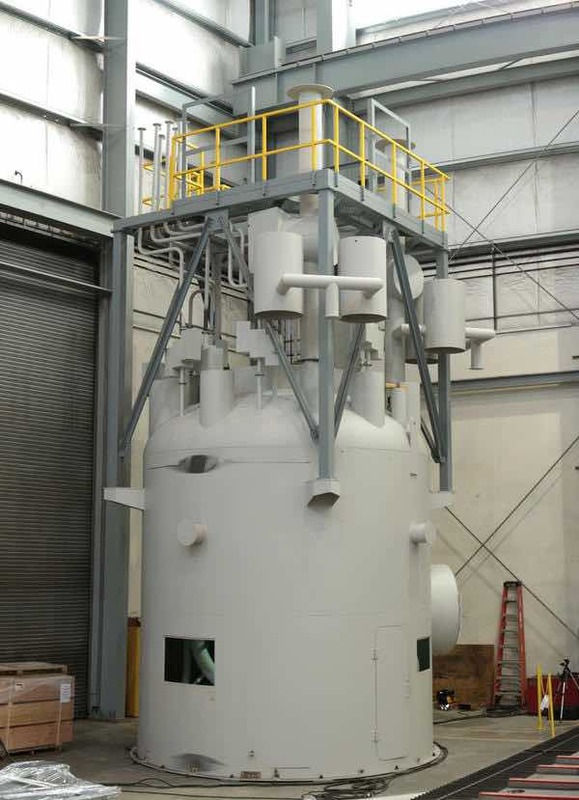 NuScale is headquartered in Portland and has a large engineering office in Corvallis. McGough told conference attendees that his company is currently spending $12 million per month to create, test and license its design. He estimated the entire development process will cost $1 billion by the time it is through. Funding is coming from a combination of private investment and government grants. Also speaking at the nuclear energy conference in Atlanta was state Sen. Sharon Brown from Kennewick, Washington. For the past several years, Brown, a Republican, has sponsored legislation to promote small modular reactor manufacturing and siting in Washington. Energy Northwest's Columbia Generating Station is the only commercial nuclear reactor currently operating in the Northwest. The 1,190-megawatt reactor can power a city the size of Seattle. By comparison, NuScale Power's factory-built small reactors are designed to produce about 50 megawatts of emission-free electricity per module. Multiple modules can be combined to create a larger power plant, which is UAMPS's intention at the eastern Idaho project. Nuclear Developer Details Timeline for Trailblazing Reactor Debut in Idaho <-- Listen at original site.